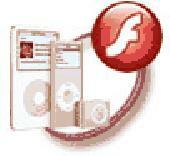 Autorun Action Flash is software for making striking Autorun/Autoplay CDs. Flashkicker is a simple tool to add preloaders to all your Flash animations or any other SWF files created with one of the many third party Flash software applications available on the web. With Selteco Alligator Flash Designer can create and publish professional-quality Flash animations. 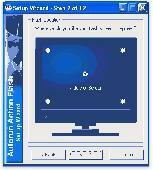 With Selteco Alligator Flash Designer can create and publish professional-quality Flash Animations. Create Flash websites, presentations, slide shows, menus, banners, buttons and online applications. Import photos, screenshots, Flash cliparts, animated GIFs and video files. SWiSHmax has everything you need to create stunning fully interactive Flash animations. ISS allows you to schedule multimedia files on your PC as a desktop screensaver. Add images, videos and Flash animations to your screensaver which will be played in sequence for the duration you select.